What a beautiful view from this vantage point! 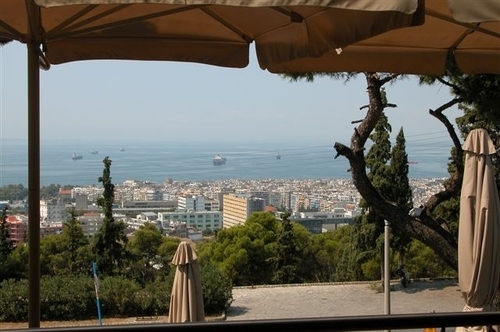 Said Carole, "This picture was taken from a nice open-air cafe over the city of Thessaloniki. The body of water is the Thermaikos Gulf. It is a beautiful blue."